The 48th Annual Boar’s Head and Yule Log Festival was held last weekend at the Asylum Hill Congregational Church in Hartford. The event, which celebrates the Epiphany through music, dancing, pageantry and live animals. 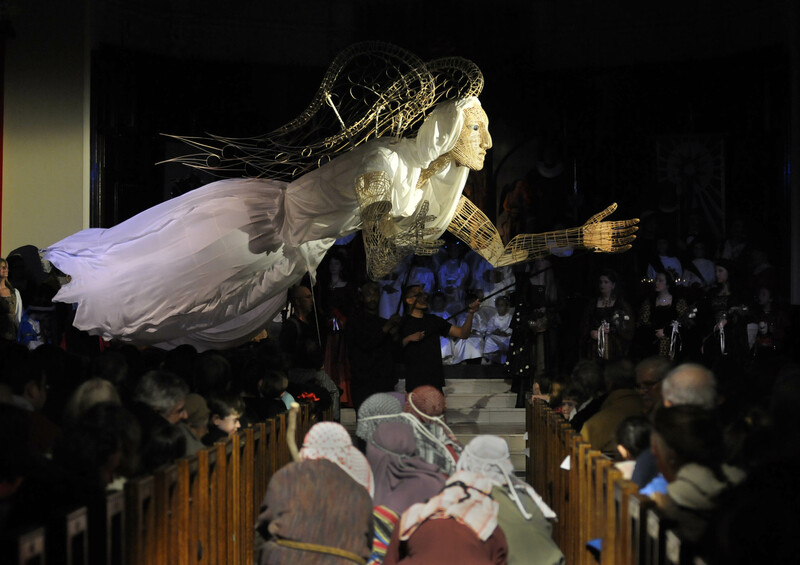 The event included a cast, choir and orchestra of more than 250 people, 16th century period costumes and a giant angel puppet created by Hartford artist Anne Cubberly. Posted in Cloe Poisson, Uncategorized. RSS 2.0 feed.